Suitable for 15 – 80 people. 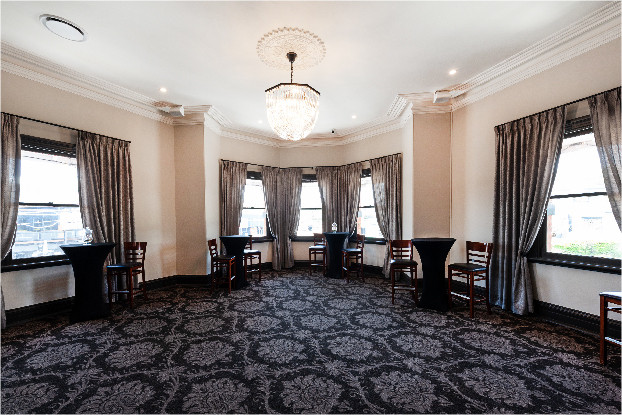 The gorgeous Burkes Room is the largest of RedBrick Hotel’s three private function rooms. This beautiful, newly-decorated room celebrates the venue’s character and old-world charm. Burkes Room is perfect for intimate celebrations and corporate meetings from 15 people upwards to 80 people celebrating cocktail-style. This popular space offers plenty of natural light throughout the day, and a stunning city outlook well into the evening. Guests will enjoy free high-speed Wi-Fi, in-house music facilities and will find comfort in this air-conditioned space. This versatile function space offers guests the flexibility to tailor the room layout for their personal requirements. 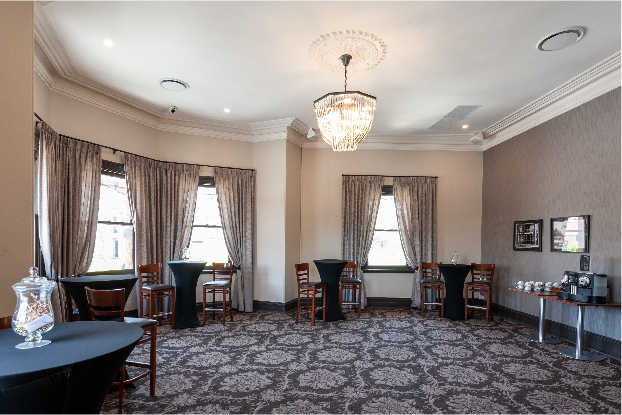 Bring your next event to life, our Burkes Room is the perfect space to celebrate your next milestone or corporate function. Speak to our dedicated team to organise your next event with us. 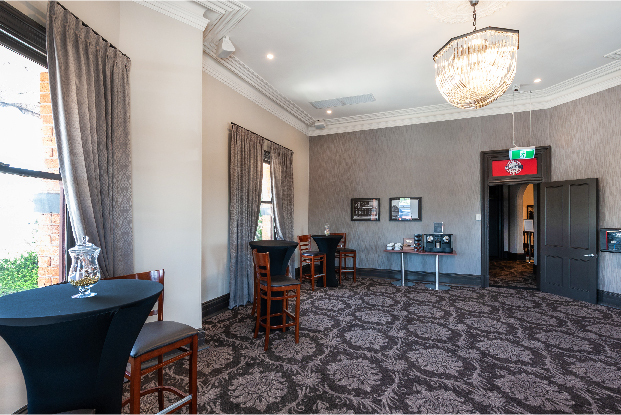 The Burkes Room has the flexibility to be configured in a variety of different styles to suit your requirements. The following room diagrams illustrate common configurations that you may like to consider.